The foundation instead bought out the other shareholders and sold the property to the American College of Building Arts. The college, which was not financially stable despite receiving a large loan from the City of Charleston, eventually sold the plantation back to the Historic Charleston Foundation (a stipulation of the original sale). The Historic Charleston Foundation then tried to sell McLeod Plantation to the College of Charleston, which planned to use the house for entertaining and the land for intramural sports. 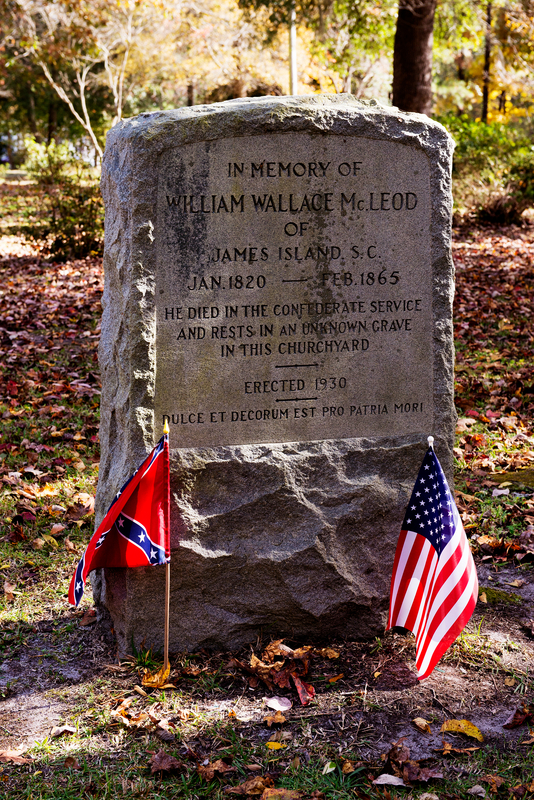 Strong opposition from Civil War historians, African-American historians, and the people of James Island led the college to forego the purchase. To the relief of the surrounding community, the plantation was purchased by Charleston County Parks and Recreation in early 2011 for $3.3 million. The county restored the site and open it to public tours in April 2015. Morgan Morris of Virginia was the first person to own the 617-acre tract that became McLeod Plantation. Morris was an absentee owner and had no residence on the property. 1703  Captain David Davis received plantation as royal grant. 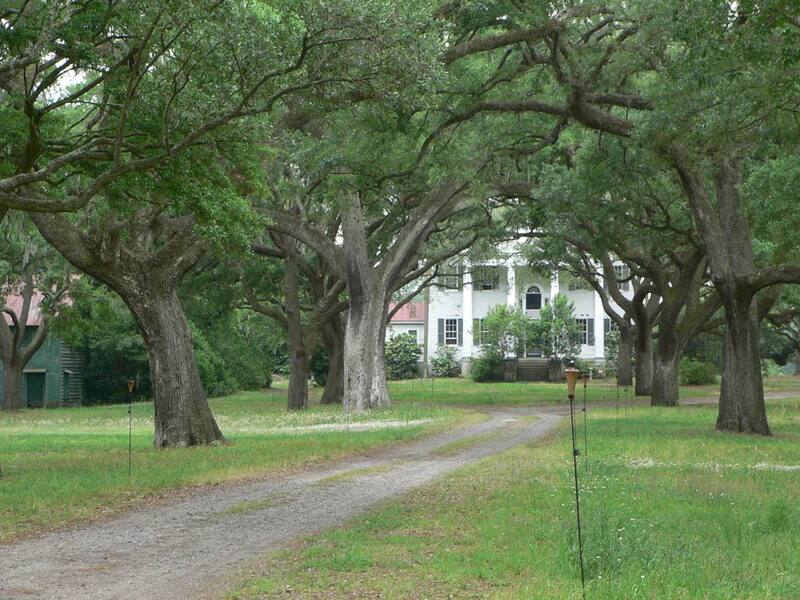 1706  Davis sold plantation to William Wilkins. 1741  Wilkins sold the plantation to Samuel Perronneau, who was likely the first owner to cultivate it. 1753  Perronneau's will commands his executors to buy "such a number of slaves as to enable them to settle, plant, and occupy my plantation and lands on James Island." Plantation still consisted of 617 acres. 1770  250 acres sold or given to Elizabeth and Edward Lightwood II, Perronneau's daughter and son-in-law. Lightwood was a ship owner and slave trader, partner in the brokerage firm Lightwood and Everleigh. Lightwood owned at least 53 slaves in St Andrews Parish but was unsuccessful at growing cotton due to depleted and poorly-drained soil. He erected the first house and outbuildings on the property; it is unknown what became of the house. 1785  "Map of the Plan of the siege of Charleston indicates that a main house existed in the area of the present-day McLeod, and that the house was approached from the north by a tree-lined path from Wappoo Creek" (8). 1851  Parker sold plantation to Edisto Island cotton planter William Wallace McLeod, who addressed the soil problems. Plantation's footprint extended from confluence of Wappoo Creek and Ashley River westward down Wappoo Creek to about Fleming Road ... then south to James Island Creek ... then east to Charleston Harbor ... then north back to confluence of Ashley River and Wappoo Creek. 1856  McLeod built house that stands today. 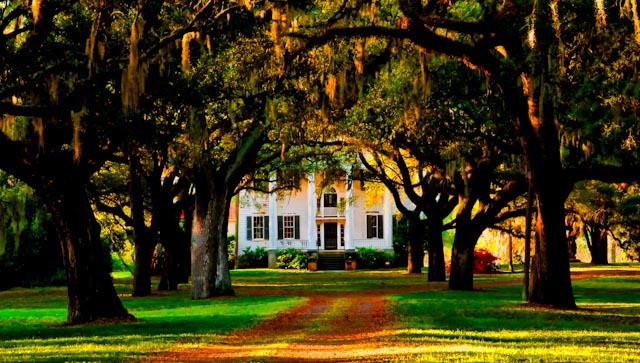 1993  The remaining two-thirds of plantation were bought by Historic Charleston Foundation. 1996  A slave cemetery with nearly 100 graves was discovered. 2004  The Historic Charleston Foundation sold the plantation to the American College of Building Arts for a campus. Debate surged surrounding planned property uses, which included converting the cabins to classrooms, converting the house to a suite for guests and board members, and adding parking lots. 2008  Financially unstable, the American College of Building Arts evoked a stipulation of their original purchase agreement and sold McLeod back to the Historic Charleston Foundation. 2009-2010  The Historic Charleston Foundation then tried to sell the property to the College of Charleston. The college planned to use the house for entertaining and the land for intramural sports. Strong public opposition to this plan halted the deal. 2011  With widespread community support, the plantation was purchased by Charleston County Parks and Recreation Commission for $3.3 million. The county plans to restore the site and open it for public use. 2015  The Charleston County Parks and Recreation Commission completed the building stabilization project and construction of a welcome center, pavilion, and creek viewing dock. In April, the plantation was opened for public tours. "At its peak, William McLeod ran one of South Carolina's largest Sea Island cotton plantations  more than 900 acres yielding 100 bales a year" (8). According to 1790 census, Lightwood owned 53 slaves in St. Andrews Parish. 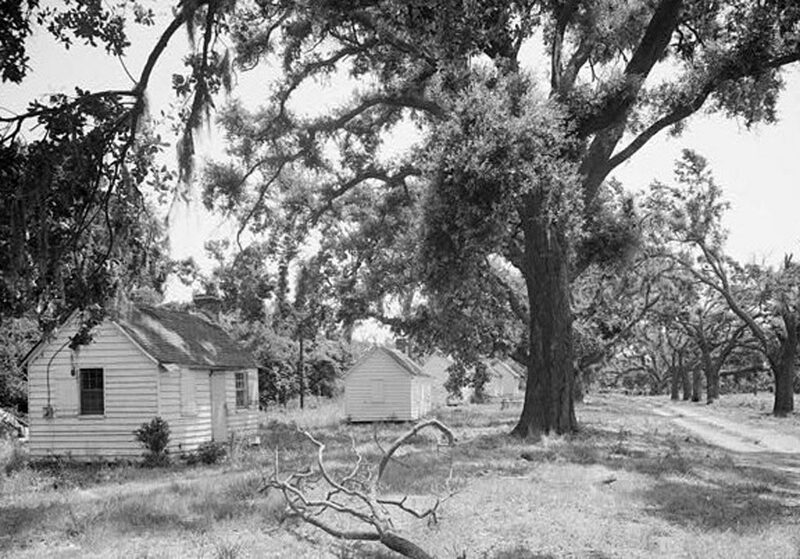 In 1860 McLeod Plantation had 74 slaves living in 26 dwellings (some sources say 23). Slaves were from Gambia River region of Africa. They were expert horseman and cattle herders and were America's first cowboys! The process of making blue dye from indigo plants made slaves sick and many died of cancer. It is said that the old bell which still hangs from an oak near the main house was used to call slaves in from the field. However, this bell was not forged until 1921. 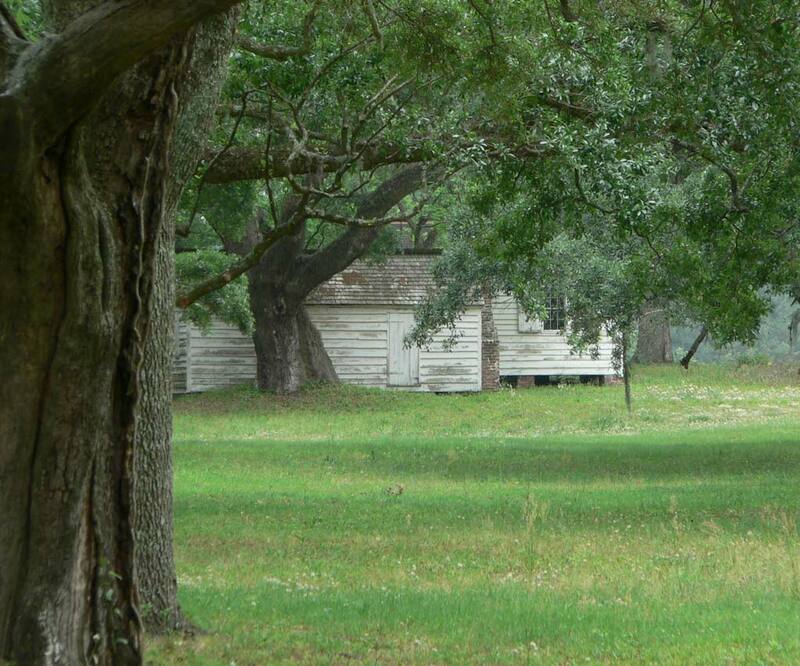 Current status  Plantation house and 5 slave cabins still exist and are in relatively good condition. 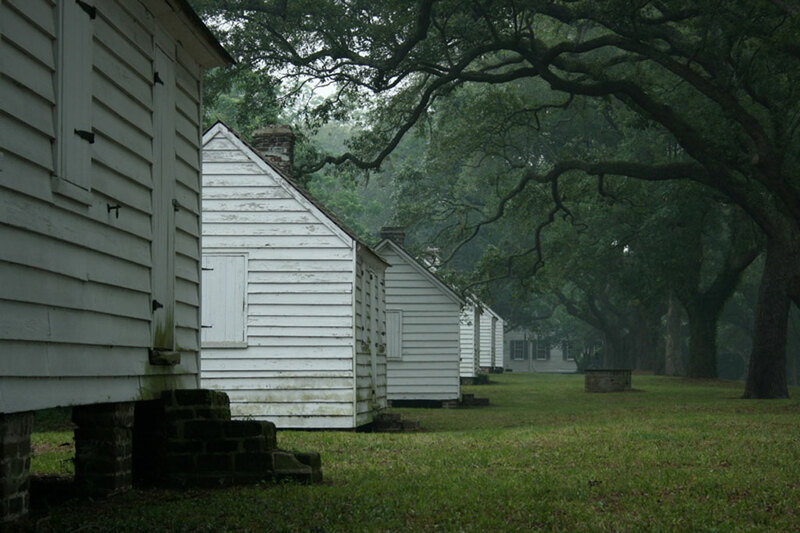 The slave cabins, as well as the dairy and kitchen buildings, are believed to date from the Lightwood/Parker period (early 19th century). Kitchen  A central chimney divides kitchen in half. One side may have been used for laundry. Slave cabins  20' by 12' wooden structures sit on raised masonry pier foundations with exterior end chimneys. Stephanie Hunt, A New School of Thought (CharlestonMag.com: January-February 2005, pp. 110-119). Information contributed by Charleston County Park & Recreation Commission. Ashley Heffernan, Renovation of McLeod Plantation Complete; Park Open (Charleston Regional Business Journal: April 22, 2105).